Here we are with yet another hard subject to write about. Each of these postings have been written with one very important thing in mind and that is to be helpful to both current monkey caregivers and others who may be seriously considering becoming one. Rehoming a monkey is not always an easy thing to do, especially when you or your family members are divided about doing this. Monkeys are as different in their size, personalities and their behaviors as we humans are. 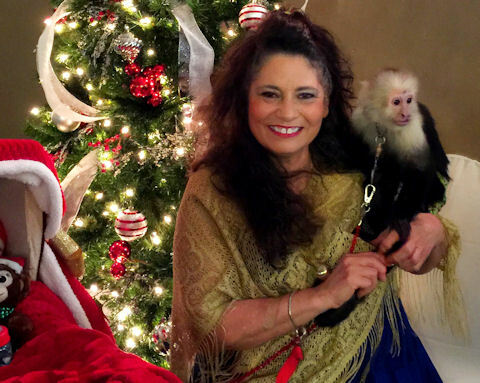 One monkey may really make a great pet/family member and then one may not adjust in your home or family at all. I have been on the receiving end of rehomed monkeys for nearly 27 years. Many monkeys have come from homes where they have been dearly loved and the parting was a very hard thing to do. I most cases people were just so glad that they had a safe and happy home for them to live. There are so many different reasons why people decide to rehome their monkeys.